Published 1 week ago. About a 5 minute read. With 65% of the Caribbean’s reefs generating tourism dollars, the study reveals an opportunity for tourism-associated businesses — such as cruise lines, airlines and hotels — to work together to protect the region’s environmental health. Tourism relies on having beautiful, natural and preserved destinations for customers to visit; so healthy ecosystems are essential for airlines’ business to continue to run smoothly. Recognizing this, in late 2014 JetBlue partnered with the Ocean Foundation to examine the link between its own bottom line with healthy ecosystems in destinations such as the Caribbean — the resulting EcoEarnings report marked the first time a commercial airline attempted to quantify nature's wellbeing and directly correlated it to product revenue. Now, JetBlue has partnered with The Nature Conservancy on a follow-up study examining the connection between natural resources and tourism, particularly coral reef-adjacent activities — such as sailing, diving and snorkeling. The results revealed that the Caribbean is more dependent on tourism than any other region across the globe and highlights new data on the benefits that coral reefs provide to the travel industry and the region’s economy. Coral reef health is diminishing around the world due to pollution and climate change. This report, also supported by Microsoft and the World Travel & Tourism Council, utilized machine learning and artificial intelligence to quantify the significant value that reefs contribute to the Caribbean economy through reef-adjacent activities and the direct connection on tourism. The value of reef-associated tourism is estimated at more than $7.9 billion annually from over 11 million visitors. This accounts for 23 percent of all tourism spending and is equivalent to more than 10 percent of the region’s gross domestic product. This marks the second study funded by JetBlue to measure Caribbean ecosystems and correlate it to travel industry revenue. Reef-Adjacent Tourism Value in the Caribbean analyzes the component of the travel sector that depends on coral reefs but does not make direct use of them in the way that diving or snorkeling does. Reef-adjacent tourism value comes from beach activities, coastal views, delicious seafood and tranquil waters for swimming and boating — many of the reasons people flock to the Caribbean. The Dominican Republic and Puerto Rico, two islands on which JetBlue is the largest airline, benefit from tourist spending of more than $1 billion per year. This tourism revenue is directly linked to reefs. The Bahamas, Cayman Islands and Puerto Rico receive more than one million visitors per year whose visits are directly linked to coral reefs. The top 10 percent highest-value reef areas each generate more than $5.7 million and 7,000 visitors per square kilometer per year. These reefs are scattered in almost every country and territory in the region and have a large proportion of high-value reefs, each with an average spend value equal to over $3 million per square kilometer per year. The countries most dependent on reef-adjacent tourism include many small island nations and JetBlue destinations — like Antigua & Barbuda, Bermuda and St. Maarten — where there may be relatively few alternative sources of income outside of reef-associated tourism. Only 35 percent of Caribbean reefs are positioned where they do not draw revenue for the region’s tourism sector, indicating that there are little to no options to expand reef-associated activities to new areas. Most of the reefs not used for tourism are in remote locations. The potential impacts to tourism in the Caribbean include climate change and other threats to coral reefs, such as overfishing, pollution and coastal development. As tourism is an essential pillar of all Caribbean economies, depletion of natural resources could lead to economic and social risks. With 65 percent of the Caribbean’s reefs generating tourism dollars, the results reveal an opportunity for tourism-associated businesses — such as cruise lines, airlines and hotels — to work together and continue to invest in protecting the region’s environmental health. The methodology for this study was derived from one of the most prevalent ways people communicate today — social media. 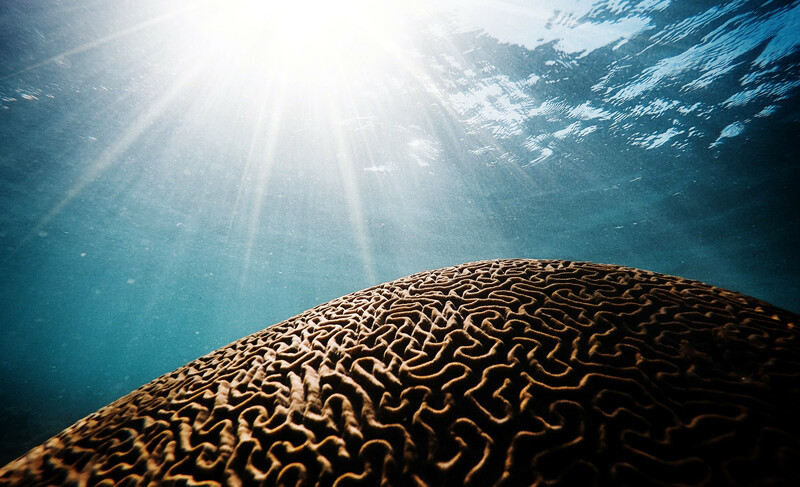 Microsoft’s machine learning analyzed more than 86,000 social images and nearly 6.7 million text posts, for identifiers that indicated reef-adjacent activities. The social media metrics were layered with traditionally sourced data from government agencies and the tourism industry, such as surveys from visitor centers, sales figures reported by travel-associated businesses and economic data from government accounting systems. As a follow-up to this study, JetBlue is donating 50 flights to The Nature Conservancy, for its scientists to travel to the region to further research and help conserve coral reefs.